Do you have a group of students, employees, or friends who need CPR training? Our training facility is always open to group classes, and we are also happy to come to YOU. 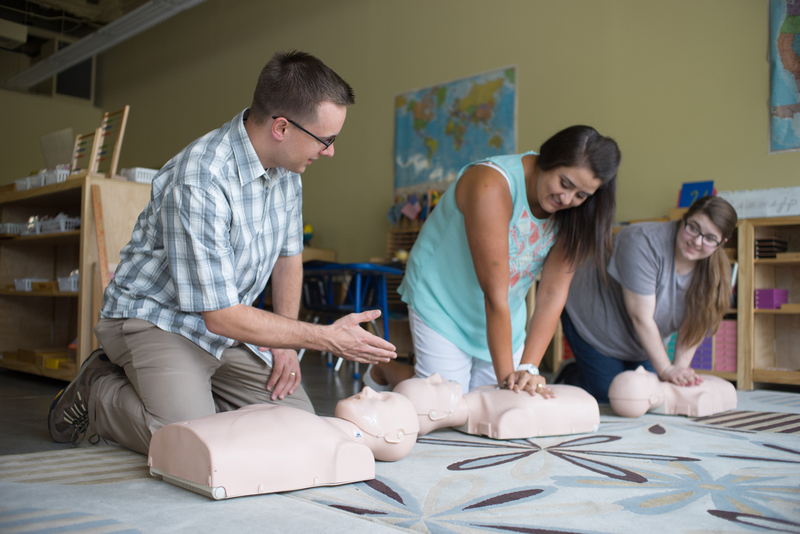 At no additional cost within a 30 mile radius of one of our training sites, we will provide CPR training at YOUR home, office, church, business, or facility. Trio Safety CPR+AED Solutions offers onsite group CPR training across the southeastern United States. We feature the American Heart Association CPR AED, BLS, ACLS, PALS, First Aid, and blood-borne pathogen training at your location – all at no additional cost. Schedule an onsite class below.